Geared Motors, Hollow Output Worm Geared Motors, Hollow Output Worm Geared Motor, Hollow Output Worm Geared Motors Manufacturers, Hollow Output Worm Geared Motors Suppliers from Mumbai, India. Hollow Output Worm Geared Motor Backed by the rich industry base and experienced personnel, our company has been able to emerge as one of the eminent manufacturers, suppliers and exporters of Hollow Output Worm Geared Motor. We do not compromise with the quality of our offered worm geared motor, so we procure quality raw materials from certified vendors. Available in light weight and hollow output shaft, our manufactured Hollow Output Worm Geared Motor is highly demanded among clients due to its long operational life, robust construction and corrosion & rust proof surface finish. 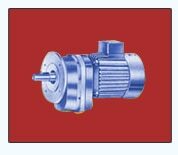 These worm geared motors are highly used in various industries. Flameproof Gear Motor With the help of our skilled & experienced professionals, we are recognized as one of the most prominent manufacturers and exporters of Flameproof Gear Motor. We use advanced technology and high grade raw materials so as to offer quality range of flameproof gear at par with the international industrial standards and norms. To offer rugged design, supreme quality and impeccable performance Flameproof Gear Motor to the client, our quality analyzer stringently checks this product on various quality parameters. Further details: Flameproof Gear Motor :- Flameproof Gear Motors are fitted with flameproof Electric motors. Shakti Engineers manufactures Helical Bevel Gear Motors also. Shakti Engineers also manufactures wide range of Flameproof gear motor and rotary vibrators. Flameproof Gear Motors are used in corrosive atmosphers . The Geared Motors go through strict quality control measures to ensure superior quality and fine finish. Dual speed, triple speed Electric motors can be provided to obtain dual, triple and speed geared motors.